Four years after proposing to lower the maximum allowed amount of fluoride in water in the, the government is finally taking action: The maximum allowed level will be reduced to 0.7 parts per million. The change comes because the FDA discovered that fluoride in drinking water was contributing to a condition called dental fluorosis: Spotting of the teeth that can eventually lead to brittle teeth. A recent study published in the UK linked fluoride levels in excess of 0.03 parts per million to doubling the risk for hypothyroidism. A condition which results in impaired functioning of the thyroid. The newly released standard of 0.7 parts per million is over 23 times higher than the amount linked to hypothyroidism! Adults don’t need fluoride in their drinking water. There is no benefit to adults from fluoridated water – 4.3% of the US population has subclinical hypothyroidism min which fluoride may be a factor. Women are more susceptible than men are to hypothyroidism, but the numbers of cases for both genders are troublingly high. Fluoridated water potentially represents an unnecessary threat to adult health. The link between hypothyroidism and fluoride: Excessive levels of fluoride in the body can result in iodine deficiency. Which is strongly linked to hypothyroidism. Most of the salt consumed in America contains added iodine. Americans get enough iodine in their diet. There shouldn’t be a problem, but there is. Excessive levels of fluoride in water may be the culprit. As a result the new 0.7 parts per million standard for fluoride in water may still be way too high! Life’s anti-Fluoride Super Filter removed fluoride from water in independent lab testing. ETR independent labs tested it against water with 4 parts per million fluoride. That’s nearly 5 times higher than the new 0.7 parts per million limit. The Super Filter eliminated all of the fluoride in the water. Activated Alumina – Reduces, but does not eliminate fluoride in water. Once you filter the fluoride out of your water, you may also want to filter it out of your body! The most efficient filter in the body for fluoride (or any toxin) is your kidneys. All you need to do is provide your kidneys with the optimum urine pH level, and they will do the rest. The ideal urine pH for fluoride detox is 7.6. At that level, your kidneys will discharge about 65% of the fluoride in your bloodstream. At a pH of 5.5, your kidneys will only discharge about 5%. 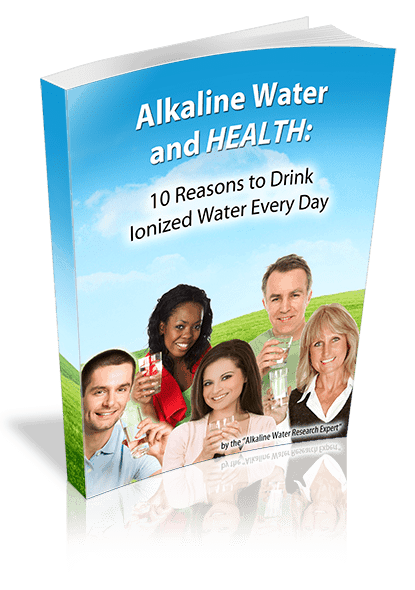 You can alkalize your urine by eating alkaline-forming foods, or by drinking alkaline water. Your best bet is to eat alkaline foods for your meals, and drink alkaline water between meals. Want to know how alkalizing can help you take your health back? Call us at 855 419-2840 for a free, no-obligation consultation. “US Lowers Fluoride Levels in Drinking Water for First Time in over 50 Years.” Theguardian. The Guardian, 27 Apr. 2015. Web. 1 May 2015. <http://www.theguardian.com/environment/2015/apr/27/fluoride-levels-us-drinking-water-lowered-splotchy-teeth>. HealthDay, WebMD. 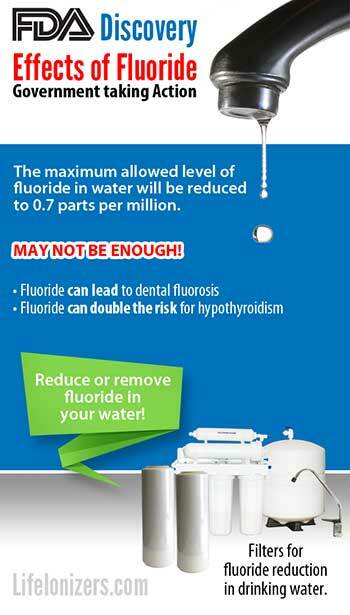 “Fluoride in Drinking Water Tied to Higher Rates of Underactive Thyroid – WebMD.” WebMD. WebMD, 25 Feb. 2015. Web. 1 May 2015. <http://www.webmd.com/women/news/20150225/fluoride-in-drinking-water-tied-to-higher-rates-of-underactive-thyroid>. Whitford, GM, and et al. “Fluoride renal clearance: a pH-dependent event..” PubMed.gov. American Journal of Physiology, n.d. Web. 19 Mar 2014. <http://www.ncbi.nlm.nih.gov/pubmed/1259032>.